Besides the German language, the International German Olympics celebrate the Olympic spirit of international understanding. 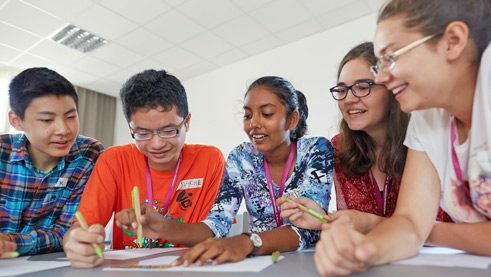 More than 140 teenagers will participate in the world’s largest German language competition in 2018, getting to know one another, Germany and the local population. They come from 74 countries, are between 14 and 17 years old and all of them are enthusiastic about the German language. The International German Olympics (IDO – Internationale Deutscholympiade) will take place in Freiburg from 15 to 28 July. 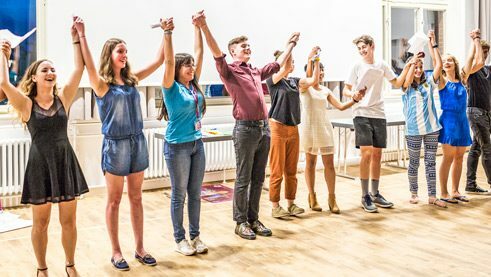 The world’s largest competition for the German language targets the over 13 million teenagers on five continents who are learning German as a foreign language at their schools and have qualified in national preliminary rounds for the finals in Germany. 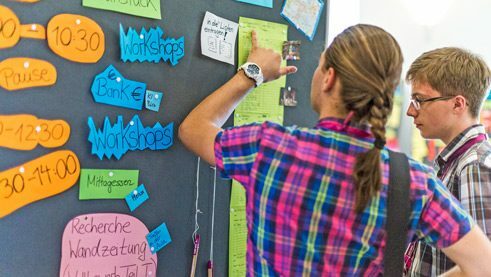 Since 2008, the IDO has been held every two years by the Goethe-Institut together with the International Association of German Teachers. After Hamburg, Dresden, Frankfurt am Main and Berlin, in 2018 it will take place for the first time in Baden-Württemberg. The 14-day competition is not just about language skills, but also about team spirit, intercultural competence and creative potential. In addition to the chance to win gold, silver and bronze, the pupils vie for a much sought-after fairness prize for social engagement during the IDO. In addition to the competition, the Olympic “athletes” can look forward to an extensive leisure and cultural programme in Germany, including city walks with Freiburg pupils, a trip to Europa Park, university tours with students from Albert Ludwig University and an exclusive concert by the band ok.danke.tschüss. During the evening of nations, Around the World in 90 Minutes, the guests will present their home countries in 90 seconds, as a sketch, dance, song or another creative format. Ninety minutes, 74 countries and over 140 players on a big stage promise to be great fun. Arsen from Armenia definitely wants to take typical Armenian sweets to Germany. Will they will play a role in his performance, or will he use them to keep homesickness at bay? As we know, the way to a man’s heart is through his stomach. With over 200 people involved, alternating venues and numerous partners from education, politics and society, the IDO is also a major project of a special kind for the Goethe-Institut. “I am really looking forward to meeting the teenagers from all over the world in person. Language is an element that shapes our lives, so it fascinates me and can certainly be intensively experienced and promoted at the IDO,” says project manager Sabine Erlenwein, who was the director at the Goethe-Institut San Francisco a year ago and now heads the IDO from the head office in Munich.